Personalised White Wooden Special Memories Box. This beautiful special memories box by Mele & Co. measures 20 x 29 x 13cms and has a lift out compartment at the top with plenty of space underneath for your precious memories. Inside the lid it has spaces for 3 photographs too. On the lid of the box it has Special Memories embossed in silver as well as the border. 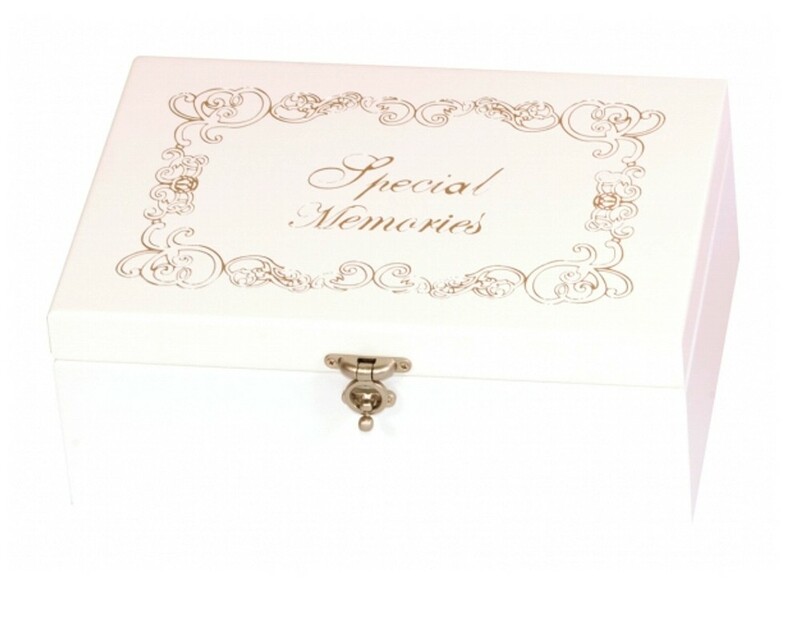 The memories box comes with an engraved plate that you can personalise with any text that you require that is affixed to the outside of the box. Please detail your requirements by entering the text that you would like engraved. This makes an amazing unique keepsake for all of your Special Memories.